“He realized there was no place for Vietnam veterans to feel welcome,” Mullings’ son, Jamey McCLaine Mullings, said. 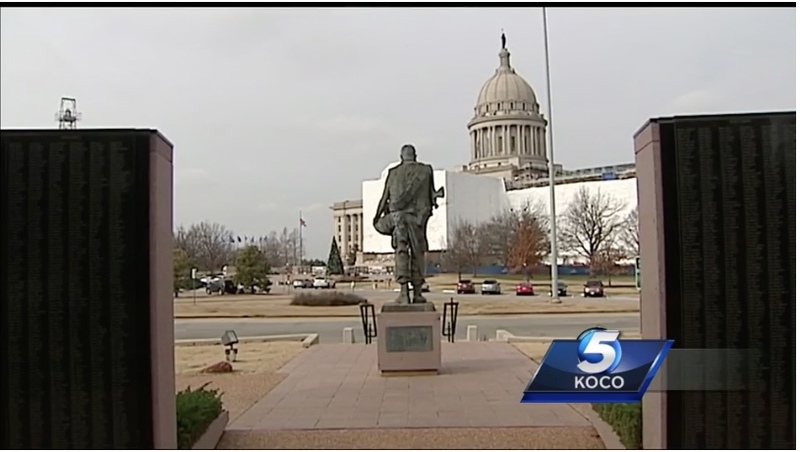 OKLAHOMA CITY — It was a sad day for Vietnam veterans in Oklahoma. The founder and creator of the Vietnam Veteran's Wall has died. Family and friends said goodbye Thursday to James Michael Mullings, remembering him for the honor he gave to our heroes who served. The Vietnam Veterans Memorial sits just beyond our state capitol. It was created by Mullings, who served in Vietnam himself. The 71-year-old died just two days before Christmas, which was also his birthday. But the legacy of this wall is one everyone can visit. “He felt very, very called to provide a memorial here because most Oklahomans might not have the opportunity to go to Washington D.C.” Teese Mullings, James Mullings’ wife, said. Mullings worked with leaders from Washington and our state and came up with the memorial because he knew Vietnam veterans needed the place.